Designed by Bill Wilson. 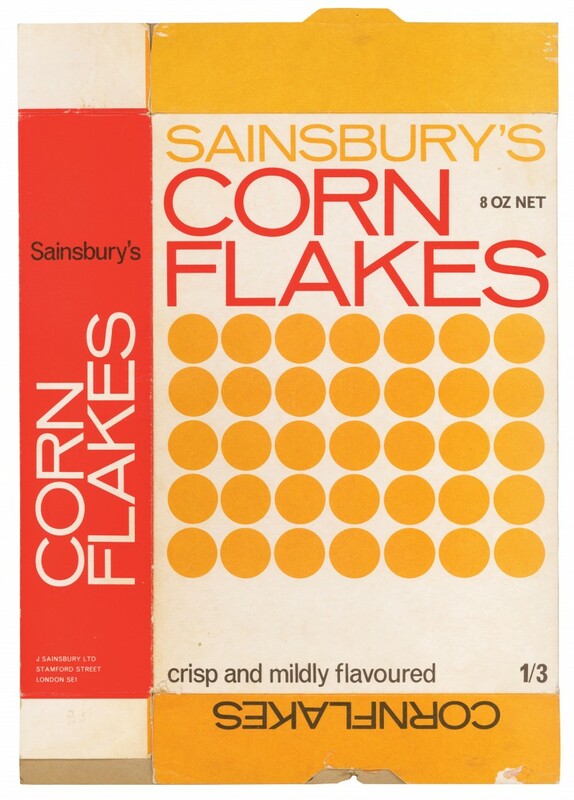 The packet includes recipes for Chocolate Corn Crispies, Fruit Crunch, Tutti Frutti Cornflakes, Cheese & Egg Shapes, and also has 'tasty hints'. A classic Peter Dixon. The very best.